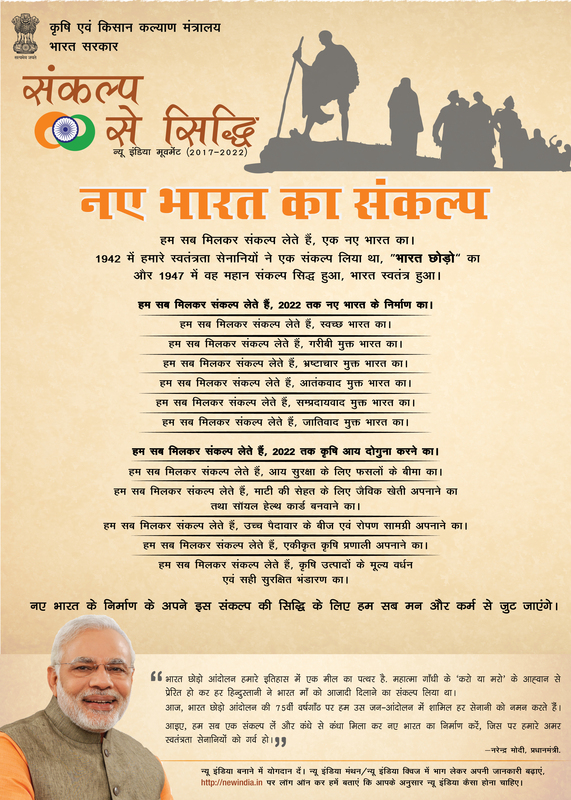 Objective: Sankalp Se Siddhi – New India Movement and a pledge to be made for the all-round development of the country. The pledge will include Swachchhata, poverty alleviation, corruption, terrorism, communalism and castesim free India along with doubling farmers’ income by 2022. One day programme on Sankalp Se Siddhi was organised by KVK, Dimapur at ICAR Research Complex for NEH Region, Medziphema, on 30th August 2017, in collaboration with ATMA, Dimapur where Mrs. Vikhweno Chale, ADC Medziphema was Chief Guest. Sankalp Se- Siddhi (determination to attainment) is new initiative launched on the occasion of 75th anniversary of Quit India Movement by Government of India on 21st August 2017. Chief Guest, Mrs. Vikhweno Chale, appealed farmers to change their attitude and mindset and also at the same time develop the zeal to learn and accept the new technology, only then they can increase their income. She expressed her disappointment that people in this generation are not taking agriculture in a serious way and that they are shifting into different profession and also towards the town and city life. She shared her experiences and told the farmers about bank loan and timely repayment so that banking institutions are not running in loss.